Tuesday, January 3rd, 2017 by Zygor (2 years ago). 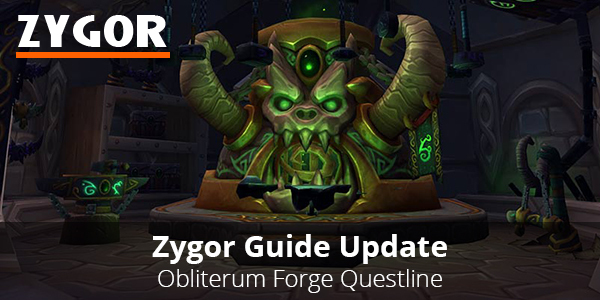 A new release (Version 6.1.15172) is now available that adds in a guide for the Obliterum Forge Questline. Completing this will unlock the forge which lets you break down crafted gear into Obliterum Ash, which you can turn into Obliterum for upgrading. 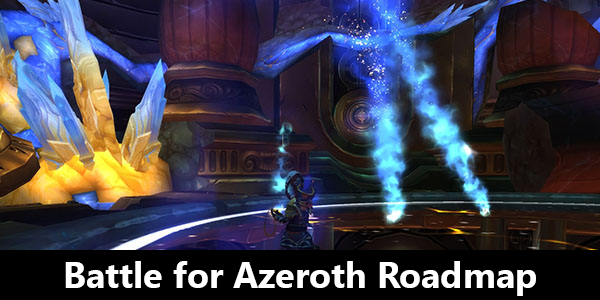 Additionally, the Zygor Guides Viewer has been updated with basic compatibility with the popular third party addon World Quest Tracker (WQT). One thing that we don’t have support for yet is clicking on quest names in WQT tracker, and if you disable WQT, it’s recommended that you /reload afterward to restore Zygor Guides Viewer back to its normal operating status. Finally, several important options have been restored including the option to disable ant trails, Auction Tools default tab option, and auction and mail tools hidden item reset buttons. 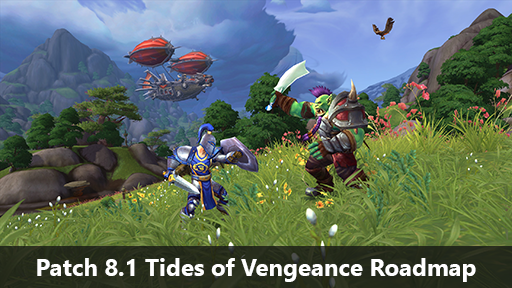 Any chance of support for Angry World Quests too? Find it considerably better. / Having the latest and the most talked of the town event or happening as an article topic could really mean success in terms of ranking your site. People who are interested in this event will be able to visit your site and will be sharing or it with their friends and relatives by just typing the keyword “15th Unigames”. Therefore, it could lead to more visitors and it could help you land on the first page of search engine. Knowledge and logic always count in ranking your site to a keyword. Good Ã‚Â¡V I should certainly pronounce, impressed with your web site. I had no trouble navigating through all the tabs and related information ended up being truly simple to do to access. I recently found what I hoped for before you know it in the least. Reasonably unusual. Is likely to appreciate it for those who add forums or anything, site theme . a tones way for your customer to communicate. Nice task.. 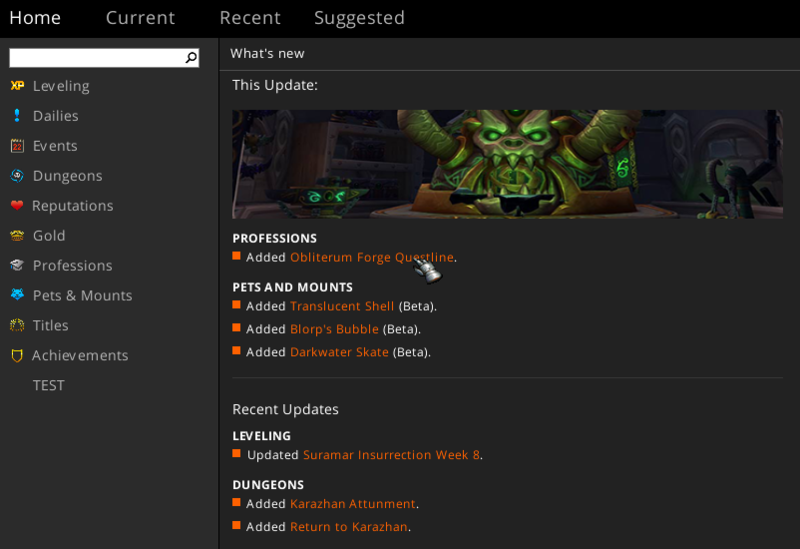 I have reinstalled Zygor with the new version 6.1.15172 and it cannot find the Obliterum Forge Questline. Open the guide menu and check that the version number is in fact 6.1.15172. If it is, you can find the questline easily from the Home tab. It’s listed in the “This Update” section with a link that will load the guide. Thank you for the prompt reply. Well. that’s exactly the problem. I do have the 6.1.15172 version. And the link it does appear as you mentioned, but when I click it, it says: “Cannot find guide: PROFESSIONS\Legion\Obliterum Forge Questline”. Looks like the arch-enemy of Judaism, Richard Silvershmuck, has called your website a "hate site" because it's pro-Israel.Let there be more just like yours! I spoke used that specific talk from TK a while back to speak on Jonah at Cru. So good!Yes, I think people are more similar than different. Even though the culture is different wherever you go, people are still longing for authenticity, love, grace, purpose, etc. Sorry about, there was a problem in the release, but it should be fixed now.